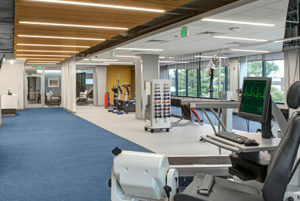 In 2017, JBC completed the first and second-floor interior renovations of the MedStar Orthopedic and Sports Medicine Clinic of Excellence. The project team included Nick Mancuso, Lead Project Manager, Paul Ferguson, Project Manager, and Greg Guillen & Kevin Powers, Superintendents. JBC added nearly 6,000 square feet to the existing building with a two-story addition to the south side of the building. The interior build-out ran concurrently with the base building addition and upgrades. 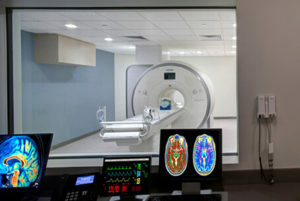 The first-floor included the construction of X-Ray and MRI rooms, as well as the installation of new machinery for each. 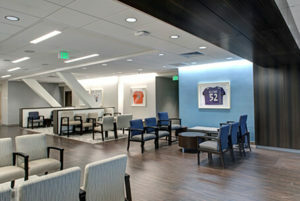 It also included the construction of multiple offices, breakrooms, waiting areas, and exam rooms. 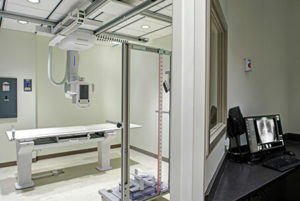 The second floor consisted of a new physical therapy wing comprised of separate offices and exam rooms, and a second X-Ray room. Prior to Medstar’s leasing of this building, they had three locations up and down York Road, offering many of the same and comparable services, which often confused patients. The Greenspring building has allowed MedStar to locate all of their orthopedic centers into one, easily accessible location. MedStar Health at Timonium locates diagnostic services, surgery, and therapy spaces all within the same building so that clients only need to visit one location to receive their diagnoses and treatment services. 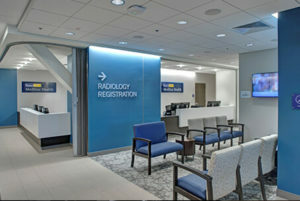 The new service center is home to 26 physicians who offer specialized radiology, ambulatory surgery, and specialized rehabilitation services to patients.